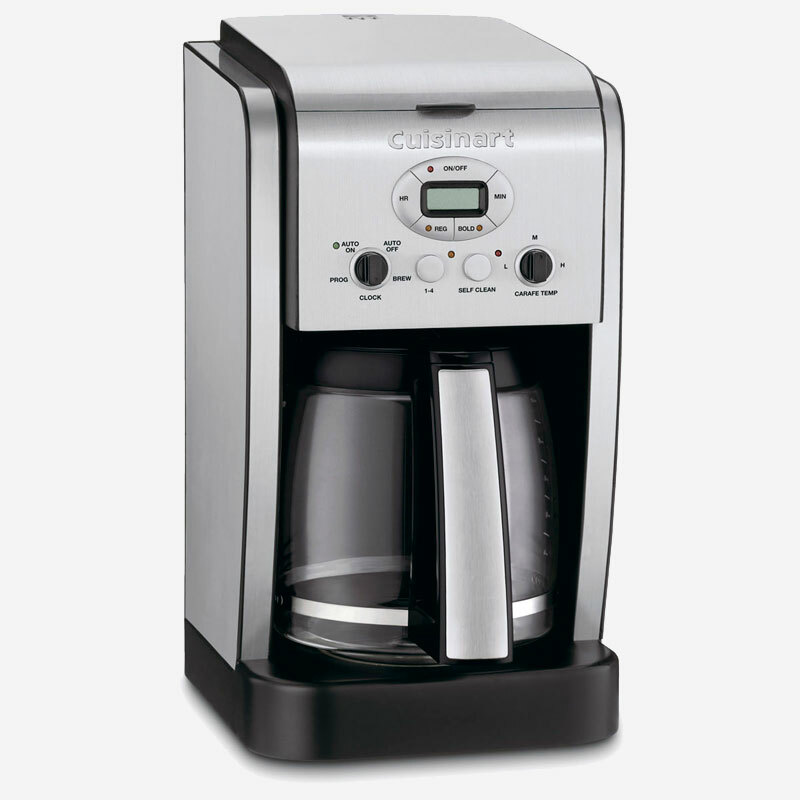 Coffee lovers will find all their favorite features in this extra-large capacity coffeemaker. 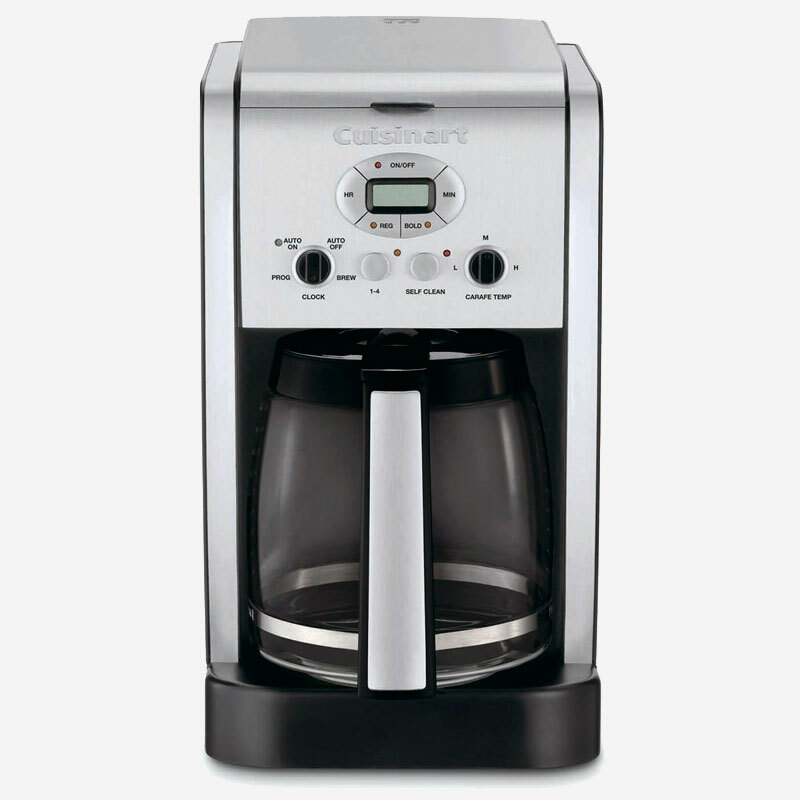 Flavour is a matter of taste, so Cuisinart now offers both regular strength and bold settings! 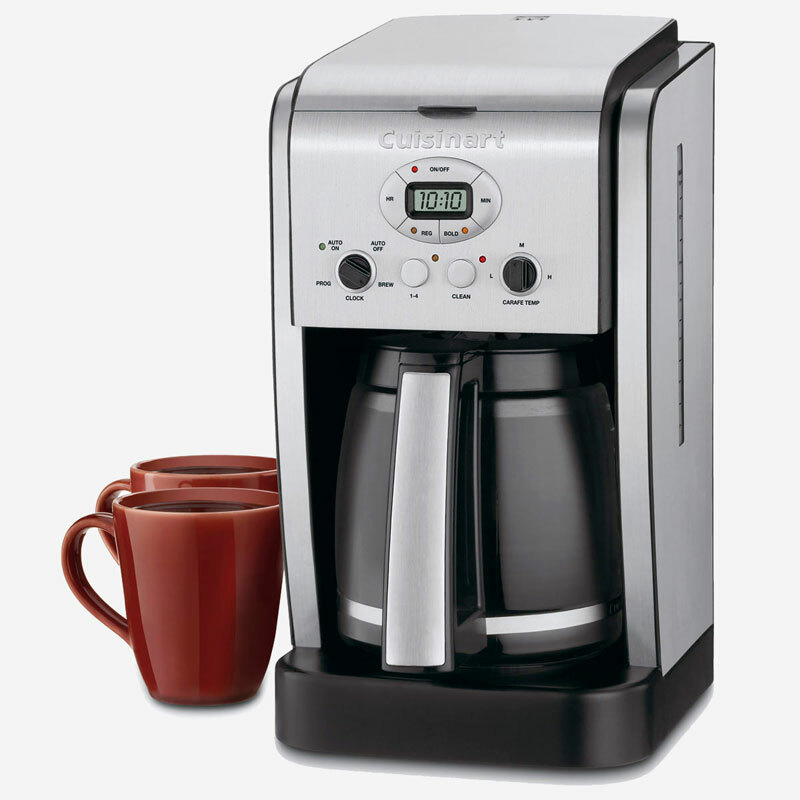 And since temperature is important, too, we’ve included an adjustable heater plate that keeps coffee at the temperature selected. 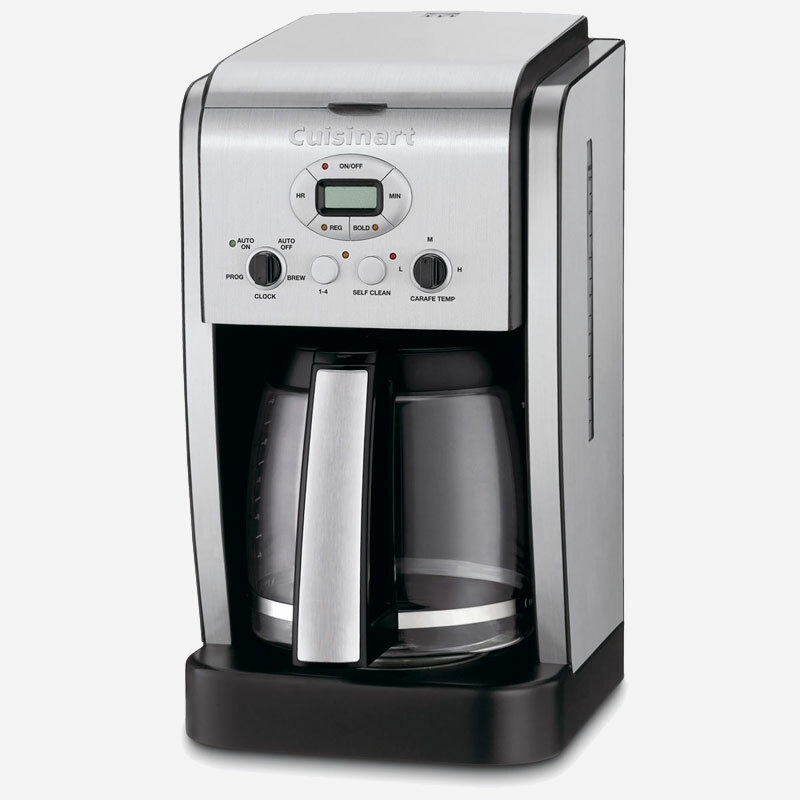 With a built-in 60-second memory in case the power goes out, and full programmability, this is a coffeemaker that’s easy to love! 7.90" x 11.20" x 14.50"